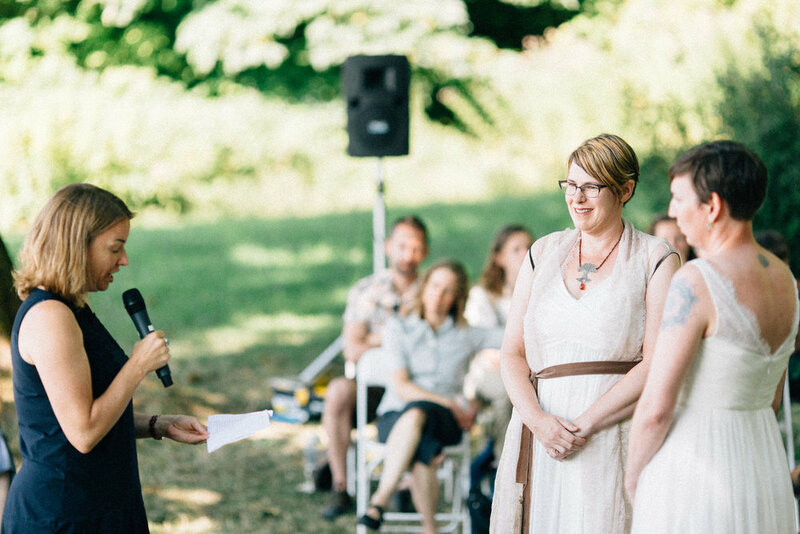 Sarah and Brooke unified at a heartfelt and spiritual ceremony at Cama Beach on Camano Island. They had a processional through a stone labyrinth, met in the center, and took a walk together along the beach. Sarah and Brooke are so in tune with each other, this was something so special to be apart of. We had a blast checking out the boats and taking their couples photos in the golden sunset. What a perfect end to the day! Both vendor credits and details are posted at the bottom.